I take transit every day to work. I live in Woodbury, so I take Route 355 from the Woodbury Theatre Park & Ride to downtown Minneapolis, then walk to the Heywood Offices. The great thing about transit is that I have options, so I can also ride Route 94, Route 351 or the METRO Green Line to meetings in downtown St. Paul. For eight years and counting, I have been riding transit almost daily. I started my transit life in Milwaukee and happily continue my ridership in Minnesota. My commute is my time to relax, be more mindful and either charge up or wind down for the day. Walking to and from stops helps burn a few calories, too. It’s great to not deal with the stress of driving in rush hour traffic. It also saves me money. Gas and car maintenance can average about $1,500 a year! Instead of spending more money, not getting exercise, and stressing out, I spend my time reading, listening to podcasts or guided meditation sessions to support overall wellness. And you never know who you’ll meet onboard. Recently, I became reacquainted with a friend from college who rides the bus. Now we catch up often. Riding the bus provides a tangible reminder how my job impacts operators and riders. 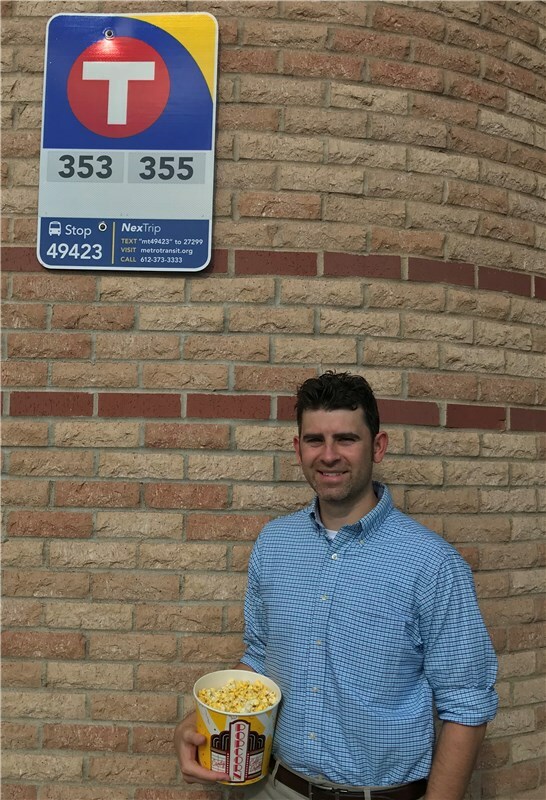 It gives me time to experience the system and to think about how we can improve the pedestrian infrastructure or on-time performance of a route to adjusting schedule times that improve transfer connections. My planning area includes many bus routes from East Metro Garage, so my commute has allowed me to introduce myself to operators and build healthy relationships. Now we recognize each other at meetings, on other bus routes or at movie theaters! I spent most of my teenage years exploring the east side of St. Paul and often rode Routes 63 and 64. I still use transit during my free time and especially when visiting other cities. Currently, I live near two commercial shopping centers and either walk or bike to stores and restaurants. There’s a sense of freedom having the ability to walk to certain destinations and not be tethered to a vehicle.